Is it compatible up to and including Office 2019? Yes. Office 2000 and greater are known working. Is it compatible with Windows 2000 through WINDOWS 7? Yes. Any Windows operating system 32/64 bit will work. 'Diff Doc' is taking TOO LONG to load a file, is there an alternate method? Are there any known bugs? How can I compare portions of the files that are loaded? I understand additions and deletions, but what are CHANGES? Apple MAC, can you run it on this operating system? How can I highlight the similar text items between two files? Can I compare whole folders of files, while at the same time create a report for each pair of files found to be different? How can I fix a permission denied error when using the application through a Web page? What is the difference between 'Diff Doc' and WordDocDiff? The quantity 'Additions', 'Changes' and 'Deletions' doesn't seem to reflect the display properly. Click Here For 508 Disability Compliance. How do I use PERL script with it? Can I get an ERRORLEVEL or ERRORCODE when using the command line? After comparing certain files, the comparing of word files comes up with 'gibberish'. When I compare WordPerfect Documents, or other document types, it doesn't really compare them. How can I get a double underline for marked up words? Can I get the source code for this application? Does 'Diff Doc' work with 3rd party Source Control and Configuration Management tools like WinCVS? Security Settings, what do I need to be concerned about? Can this application run on Linux? When I load a text file it does not appear. 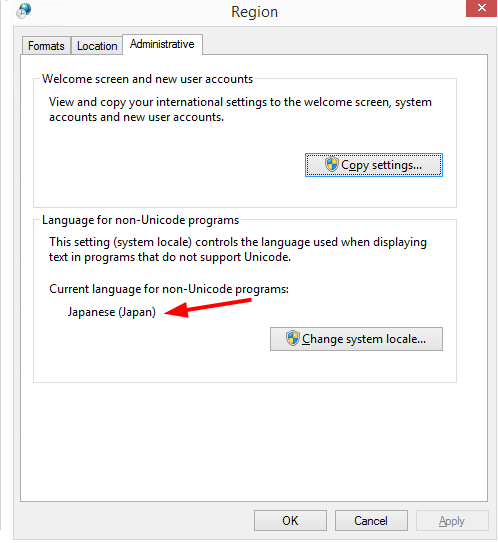 Japanese Characters are showing up as question marks? Within the 'compare files' window, please go to the 'compare options' tab and enable the 'remove formatting' which is located in the 'General' tab. This will make it run much faster. 3. In the 'refresh options' select "Do not reload files"
5. Open the documents you want to compare in their native viewing application (wordperfect for example). 8. Do the other document by following 5-8. 9. Press F5 to refresh the difference display. You may want to restore the 'Compare Files' options once your done. There are no pending bugs at this time. Please submit a bug if you find one. Comparing selected text within the Original and Modified editors is a very powerful tool for overcoming any alignment issues, or simply comparing content in different sections of your file. NOTE: To "select text" simply click the mouse down, and (while the mouse button is down) drag the mouse to the portion of text you are interested in, finally unclick the mouse. Normally a file comparison is done by loading and/or reloading the Modified and Original editors. Once the text is in these editors you can select any portion of each, right mouse click (or from the "View" menu), then choose "Compare Selected Text". A new window will open containing the contents of the selected items, and the difference viewer will automatically refresh. Note that the compare options of the newly opened window may be different than the original one. In particular the Refresh option. To see this in action view our online demonstration. When we go through each document in our application, we first try to match similar paragraphs. Those paragraphs that had no match are considered an addition, or a deletion. Those paragraphs that had a match, but are not exactly the same, are considered to be "changed". The confusion arises since users don't understand how the program works. When the program says there was a deletion, it implies that 1 or more contiguous paragraphs were deleted from the original file. When the program says there was an addition, one or more contiguous paragraphs were inserted into the original file. When the program says a change occurred, neither an addition nor a deletion was detected, rather one or more contiguous paragraphs from the original file were altered. Altered means that within the paragraphs that were changed there were additions, deletions or changes within the words of those paragraphs marked as changed. The program shows these changes on a sub-paragraph level, so as to assist in detecting what 'changed'. NOTE: If you would like to see only one color represent changes in paragraphs go to the 'Compare Options'\View and select the "Additions, deletions, and changes all shown similarly" item within the "Changes" category. Run 'Diff Doc', open the File Comparison Window (CTRL-F). Then click on the 'Compare Options' tab, then the 'View' tab. Now make the FONT color and BACKGROUND color both white, so it becomes white on white. "Create REPORT when textual differences found"
You can then click on the "Compare Folders" tab and press the refresh button (F5). Alternatively, from the command line, you can do a folder comparison and a report will be created for each file compared. For command line users, the settings discussed in this topic are saved and are loaded as you've set them up in the GUI. Therefore no additional parameters need to be used to do this, once it has been set up once. 1. Make sure that normal.dot is located on each user's own hard drive and not being accessed in a networked location. This is the most common source of problems in this area. Delete or move any copies of Normal.dot that show up in networked locations (Workgroup Templates folder usually) so it recreates itself on people's own systems. Also make sure that the User Templates setting is pointing to a hard drive and not a network location (Tools-Options/File Locations). 2. Also, does your MS Outlook use MS Word as it's editor. This too can possible cause a sharing violation. 3. Check for third party MS Word 'Add Ins'. These are programs that extend Words functionality, they may cause issues such as this. For advanced users check the registry (i.e. HKEY_LOCAL_MACHINE\SOFTWARE\Microsoft\Office\Addins\PaperPort.PDFAddin [Change LoadBehavior to 0 (default is 3)]. 4. 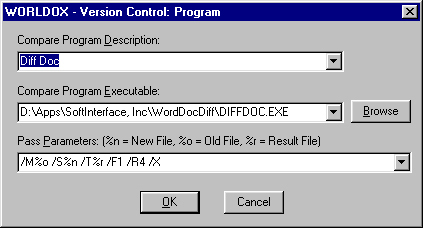 If Word crashes, sometimes winword.exe (the Word program does not properly close. Thinking the program is still open means the system thinks Normal.dot (or any other file open/accessed by Word at the time) is in use and cannot overwrite in-use files. Easiest fix is to reboot after a crash, or if you are knowledgeable enough, look in the Task Manager (CTL-ALT-DEL) for winword.exe and forcibly End Task. By adding the 'Diff Doc' product in the "Diff application" field of the "Tools" tab of the TortoiseCVS "Preferences" window, you can integrate Diff Doc to that CVS client in a way to automatically diff two versions of the same PDF, DOC, XLS file. It is important to restart Windows after installing Diff Doc, and afterwards to open Diff Doc at least once prior to using it from TortoiseCVS. Below is a screenshot of the Worldox integration screen. The parameters selected in addition to the /M, /S, and /T are there just to make it behave more like the old venerable CompareRite program. /R4 tells 'Diff Doc' to create an MS Word output report (instead of TXT, HTML or RTF). /X tells 'Diff Doc' to exit upon completion. To get to this screen simply open Worldox and Select File, Compare, Setup. The quantity of 'Additions', 'Changes' and 'Deletions' doesn't seem to reflect the display properly. See version 2.99 for updated HTML reports (the summary has been changed to show the number of word level changes vs paragraph level changes). PRIOR TO Version 2.99: The number of Changes, Deletions, and Additions reported are the result is sometimes not initially understood. First you must understand that this program does a two scan comparison, first on the paragraph level, second on the Word (sub-paragraph) level. The differences reported are based on the first scan, however, the display shows the results of both scans. You can more easily see how the numbers related to paragraph changes when doing a CSV style report (versus the standard MS Word report). Yes, you can. Use the /G switch to get an error code. A non-zero error code indicates that differences were found, or an error occurred. Note, you must specfiy the /X (Exit 'Diff Doc' after comparison) switch for this to work. Here is a sample batch file. Be sure that MS Word/Excel is installed and that you can open the file type in question. Typically WordPerfect cannot immediately open within MS Word without first installing a module. You can remedy this problem by simply opening up the document type in question within Word/Excel. Word/Excel will prompt you to install the necessary module. Also, you can run the installation for MS Office and add the necessary file filters for MS Word. Select 'MS Word' as the report type. Create a difference view by selecting the files and press F5. Now create the report by pressing F2. Contact SoftInterface, for information regarding the purchase of the source code for this application. Does 'Diff Doc' work with 3rd party Document Management tools like WinCVS? Set permissions for the files, dd.dll, diffoc.exe, and diffdoc.ini to give full control to the accounts you use for running the application. Rename the file to have a DOC extension and try reloading. For example, if it is called abc.txt rename it to abc.txt.doc. 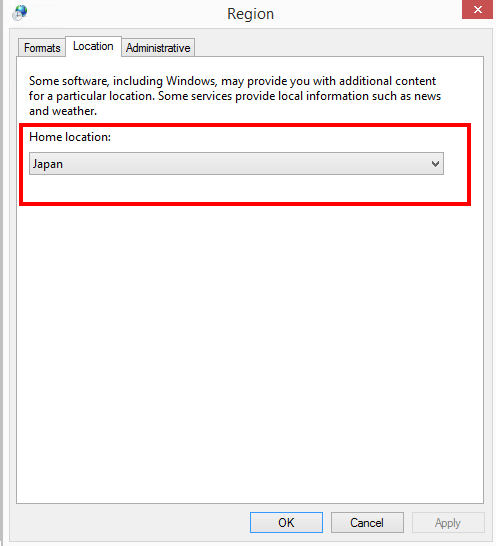 Change your regional settings location to Japan. 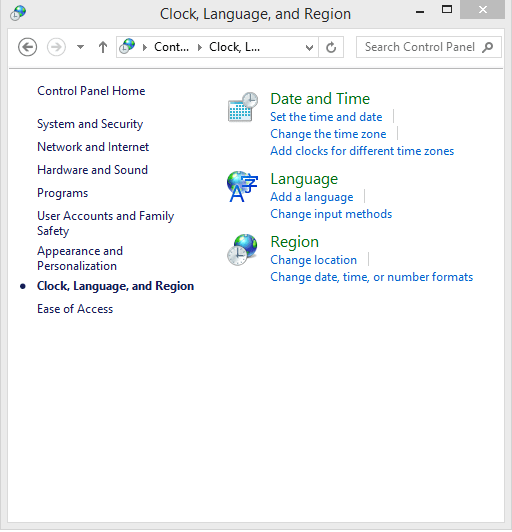 As shown below in Windows 10, select Control Panel\Clock, Language and Region. Click on Change Location. Then choose Japan as the Home Location. The setting above should be enough to make the program work (as tested in Windows 10). If not you can also try setting the item below.